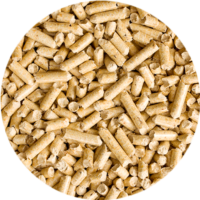 LacWood’s premium wood pellets are your #1 choice. Located in the heart of the Northeastern Ontario Boreal Forest, we are committed to providing you with the best wood pellets, free from any additives, leaving you with a pure, clean, and environmentally green choice. Scroll down to find out more about what we offer and how our pellets consistently exceed the criteria set for premium quality standards. Inexpensive & reliable heating technology proven worldwide. Organic & sustainable source of energy that is CO2 neutral. 100% recycled product made in a waste free facility. 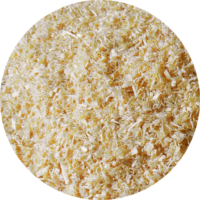 LacWood’s premium wood pellets are made from clean, quality wood co-products left over from the milling of quality lumber, derived from the timber harvested in sustainably managed forests. 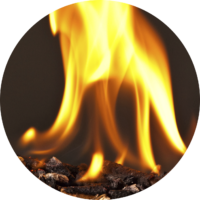 LacWood pellets are clean, efficient and perfect for home heating.